Sagada in Mountain Province easily ranks as one of the top ecotourism destinations in the Philippines. 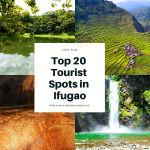 Cascading waterfalls, stunning caves, limestone rock formations, rustic mountain views and authentic cultural heritage are among the tourist spots in Sagada. Indeed, it’s a paradise of various natural beauties rolled into one. 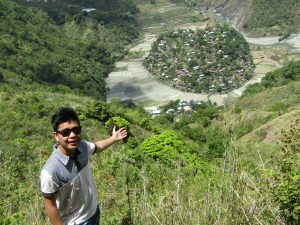 I have been visiting Sagada several times already. Every time I do so, I discover and learn something new. Yes, it is more fun here. 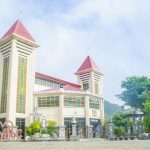 By the way, before you proceed to any of the tourist spots in Sagada, you must first register at the SAGGAS Tourist Information Center within the town center. Here, you can also inquire and select tour packages, each with its own set of fees and guiding system. You will usually be given a receipt to show to your guides or to those taking charge of each of the destination. Without further ado, let me now walk you through the different tourist spots in Sagada! I included just ten tourist spots for this article. But of course, there is more to these and would soon be adding to the list once I visit Sagada. By the way, this is not an official ranking. I just presented them in a random manner, just to give us a visual experience of Sagada. 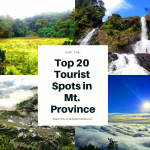 If you have been visiting Sagada and trekked to unusual or off-beat destinations there, feel free to chime-in some recommendations on the comment section below. Mt. Ampacao towers at more than 1,889 MASL, making it the highest peak in Sagada. Getting here is quite easy as the trails are well-established and does not run across steep terrains. It takes around 40 minutes of hike to reach the top or even lesser. 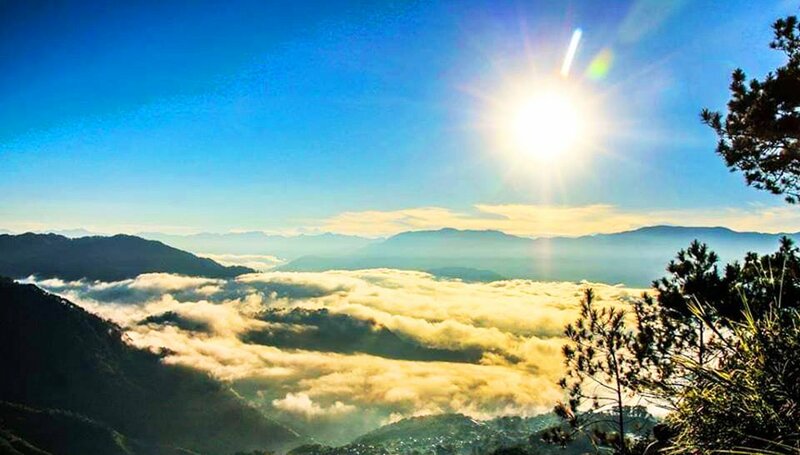 While atop, one can see a panoramic view of Sagada town and its surrounding mountains and pine forests. Kapay-aw rice terraces are also visible from here. During early morning, sea of clouds forms. Thus, you are one lucky spectator if ever you chance on such rare and bizarre phenomenon. It is one of the least known tourist spots in Sagada. To get here, one needs to hike for hours from the nearest community. Expect to be crossing streams, jumping across boulders, or even wading across pools before you can finally glimpse of the first cascade. 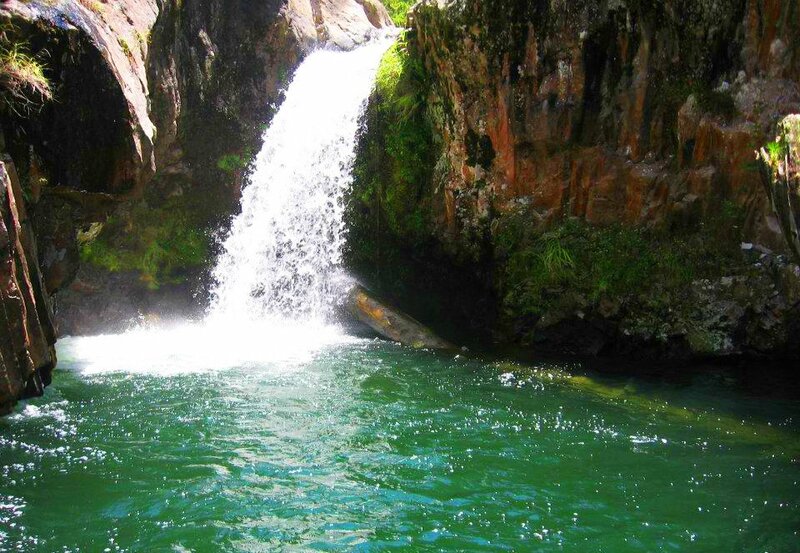 Yes, Bumayyeng is a multi-layered falls, each with different features to offer. The trail also cuts across pine forests and grassy areas. Definitely, this is only for ardent adventurers and extreme hikers. 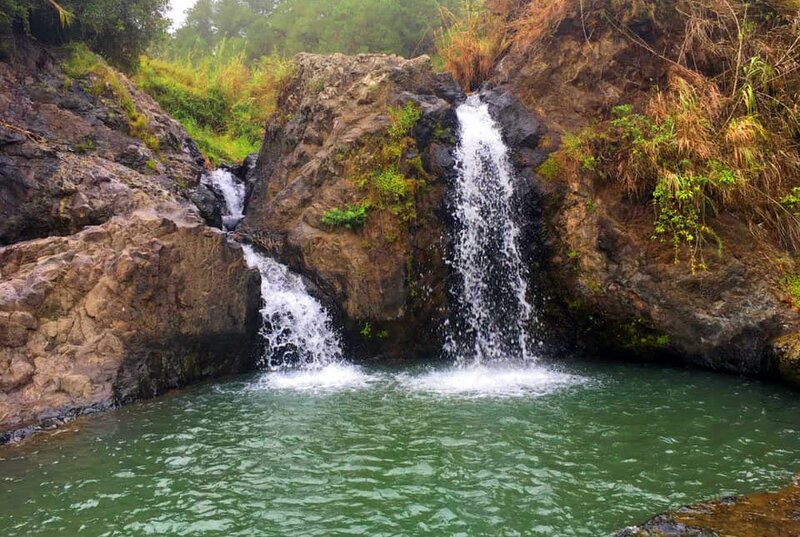 Each of Bumayyeng’s falls has a beautiful catchbasin. If you prefer a more rustic setting, away from social bustles and hustles, Bumayyeng falls would definitely make up to that. But of course, you will need an experienced guide to take you here. Made famous by the movie, “That Thing called Tadhana,” Kiltepan Viewpoint offers a spectacular view of the sunrise. More often than not, stunning sea of clouds appear. That is why, it is best to come here during early morning to catch sight of these. Some would take more or less an hour of trek from the town center to get here. 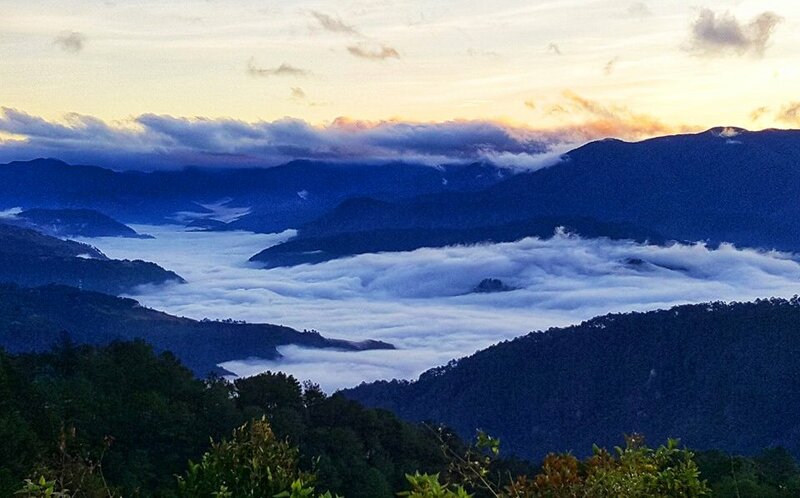 Others arrange a van with the Sagada Tourist Information and this usually departs at 4:30 a.m. Aside from the sunrise and sea of clouds, Kiltepan also offers a bird’s eye view of the rice terraces below. 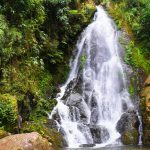 Bomod-ok Falls cascades for more than 50 meters, making it the highest permanent and single-drop falls in Sagada. 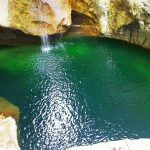 It has a naturally-built pool with icy-cold and crystal-clear waters. Beautiful rock formations surround the pool. From these rocks, you can jump or dive towards the deep part of the pool. To get here, you will need to hike for more or less 30 minutes from the road. You will be passing by the community of Fidelisan and their beautiful rice terraces. It’s a downhill hike towards the Bomod-ok falls and obviously, an uphill trek back to the road. Since this is located on a barangay which entails more or less 30-minutes of ride, you may rent a van for 500 pesos. Upon reaching the registration booth, you need to pay 500 pesos for a guide for every four to five pax. Yes, this is a must-see tourist spot in Sagada. 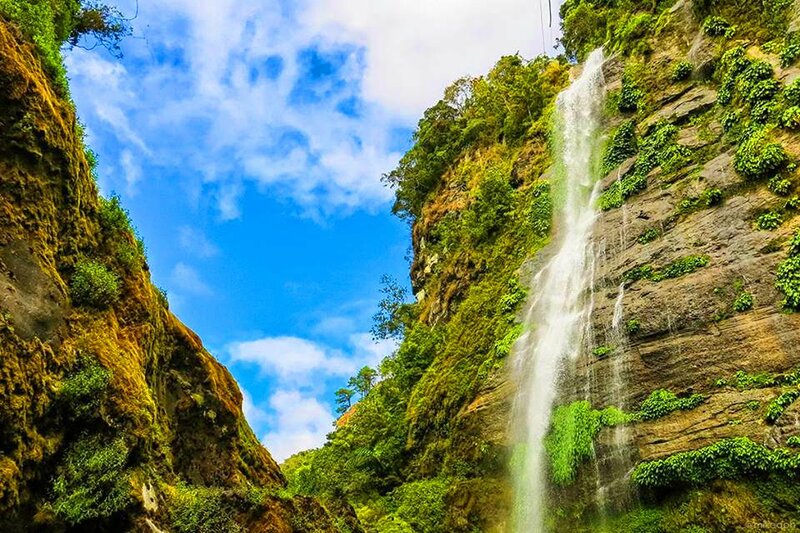 Bokong falls is one of the easily-accessible cascades and tourist spots in Sagada. It is just some 30-minutes of easy walk from the town center. If you are a first timer, you will still need a guide though. The falls is relatively small compared to the rest. But it has its own unique features to offer. It has a small catchbasin. But don’t be fooled by its miniature size. It is actually very deep and you must know how to swim before immersing yourself. One of my favorite things to do here is to jump from a rock that is higher than the falls. Located at the remote outskirt of barangay Ankileng, this towering and twin beauty is a less known tourist spot in Sagada. 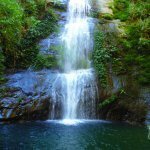 From the community proper, one needs to hike for more or less an hour to reach Pongas Falls. Now, this is a challenging attempt as there are steep parts of the trail. Expect also to trail along rice terraces and irrigation canals. 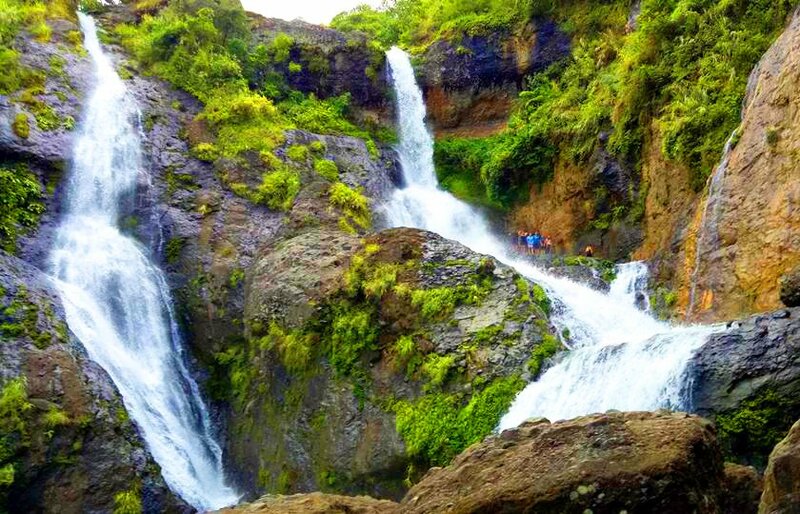 It is best to come here just after the rainy months to catch sight of Pongas’ falls full force. Accordingly, there are also more waterfalls to see upstream and downstream. If you have more time and energy, ask your guides to take you to some of these. 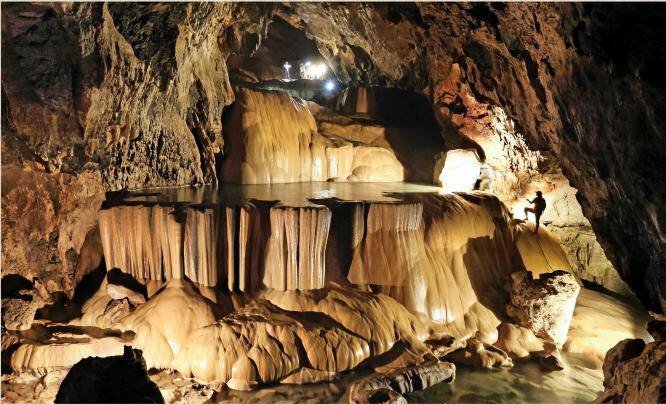 Sumaguing cave is arguably the most popular tourist spot in Sagada. 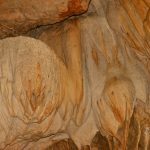 It contains fascinating stalactite and stalagmite formations. The locals have interesting names and attributions for some of the rock formations. 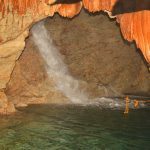 Spelunking here is quite challenging and can often be dangerous if safety procedures are not being properly followed. At some point, one needs to rappel on slippery rock walls with the use of ropes. But all these are compensated with the magnificent views inside. Aside from the rock formations, there are glistening pools of water. 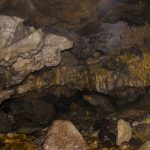 Caving here usually takes around 2 hours. Hire for a guide for 4 pax is 500 pesos. They don’t call it echo valley for no reason. While you’re there, do create echoes and you’ll see why. 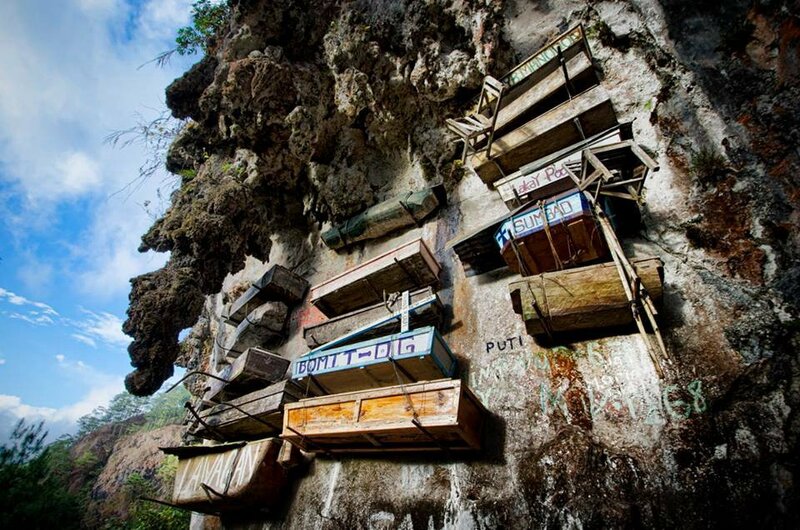 Interestingly, this is also where you can find the iconic hanging coffins. This is just one of the different cultural-based tourist spots in Sagada. One could just wonder how the locals of the past were able to place the coffins high up on the ground. You can learn a lot about the local culture here so don’t hesitate to ask the guides. 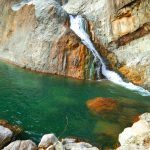 To get here, you will be walking for around 20-30 minutes on a relatively easy trail. Expect to pass along rock formations and pine forest stands. 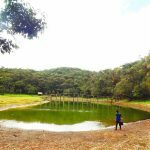 The cost of coming here is 200 pesos for up to 10 pax and an additional 10 pesos each for the environmental fee. This is one of the historical tourist spots in Sagada. It is a stone-walled structure catering to the spiritual needs of the locals who are mostly Anglicans. What I find interesting about this church is the fact that it was built during the American period. It’s more than a century-old heritage! 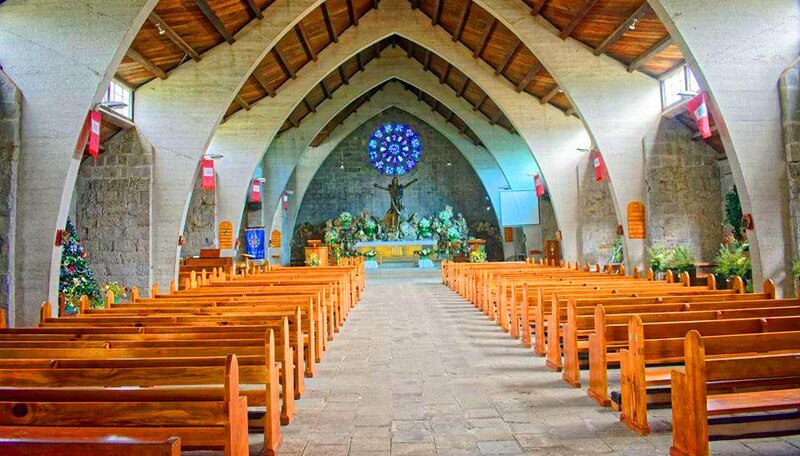 Regular masses are being conducted here. This is just within the town center and coming here is like a walk in the park. Just ask the locals for direction. By the way, this is one of the sights to see when going to the Echo valley and Hanging Coffins. If you are looking for challenging and at the same time, rewarding hiking experience, Marlboro Hill should be added to your list. 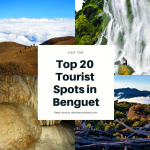 It is one of the growing tourist spots in Sagada. 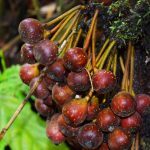 On the average, it’s a 4-5 hour hike that will lead across lush pine forests, scenic rice terraces, and limestone rock formations. You will also pass by the so-called Blue Soil or Blue Hill which turns bluish-green especially just after the rains. 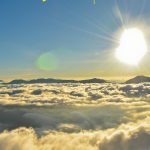 There are also good points here for viewing sunrise and sea of clouds, making it a good alternative for the Kiltepan viewpoint. The guide fee costs 1,800 pesos for a pax of three and another 1,350 pesos for a roundtrip transport fee. Manila to Sagada. If you want a direct trip to Sagada, do ride Coda lines bus, stationed at HM Transport Cubao Terminal. This is located along EDSA at Cubao, Quezon City. Regular trip schedules are 8:00 pm, 9:00 pm, 10:00 pm, and 10:30 pm. Fare is 720 pesos and travel takes around 12-13 hours. Take note. If you cannot do online booking, be at the station at least an hour before your preferred time of departure. For more information click here. Baguio to Sagada. First, ride either Victory Liner or North Genesis buses going to Baguio. Both have stations at Pasay and Cubao, Quezon City and both have hourly departures. Travel time takes around five to six hours and fare ranges from 450 pesos to 485 pesos. Upon reaching Baguio city, ride a taxi or Grab towards GL Trans station at Dangwa Terminal (back of Center Mall). GL Trans buses which are bound to or passes along Sagada departs by 6:30 am, 8:00 am, 9:00 am, 10:00 am, 11:00 am, and 1:00 pm. Travel time is more or less six hours and regular fare is 220. Bontoc to Sagada. If you are coming from Bontoc, there are jeeps there bound to Sagada. These are stationed in front of the Walter Clapp Hotel. A jeep departs once filled to capacity. For more helpful tips on how to get to Sagada, read this detailed travel guide by The Pinay Solo Backpacker or the Will Fly for Food. 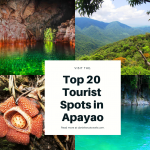 If you need more information that can help you in setting your itinerary to the tourist spots in Sagada, simply ask them on the comment section below. You can also message us on our facebook page, Daniel’s Eco-Travels. I will be more than glad and willing to help you with the answers whenever I can. Or better yet, coordinate with the Mountain Province Tourism Office through their facebook page.